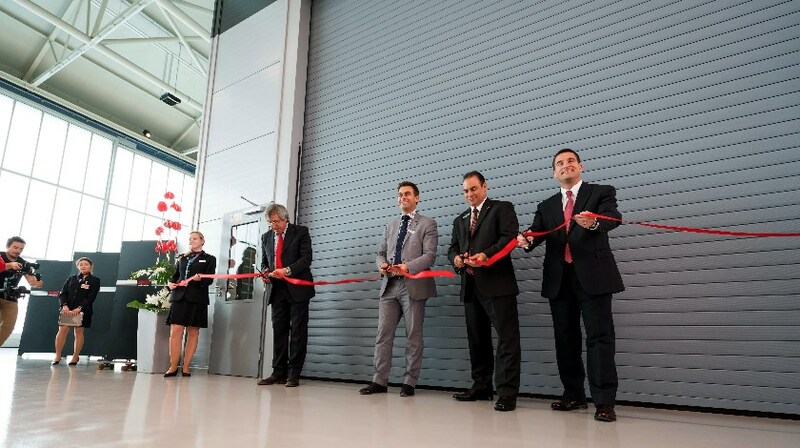 Bell Helicopter, a Textron Inc. company announced today that its Prague location officially opened a new paint facility and delivery center –providing full aircraft completion and delivery capabilities to its European customers. “Bell Helicopter’s continued investment in the region reinforces our commitment to our European customers to provide an in-region facility that offers the industry-leading service and support we are known for worldwide,” said Glenn Isbell, executive vice president, Customer Support and Services for Bell Helicopter. “We are excited that that we have added full paint and delivery capabilities, with the installation of two brand new paint booths and a new delivery center on-site,” said Joachim Goldenberg, General Manager for Bell Helicopter in Prague.